On 26th October 2016, it was our privilege to host Mr Aneil Deepak, Executive director and Head of Ideas at DDB MudraMax. Mr Aniel started off with relevance of course in real life, and went on discussing the need for learning with a practical perspective. He motivated students towards entrepreneurship and planted ideas on how to achieve the entrepreneurial dream. Mr Aniel opened the session by asking the students to raise their hand, if they wanted a job. Everybody wanted a job. He then asked how many wanted to be rich. Everybody wanted to be rich. He then broke the silence by establishing that a job will never make us rich. The session was on the theme of what he wished somebody had told him, when he was in college. Since a majority of students wanted a job, he posed three question to them. He ideated a three circle approach to a career. The innermost circle was What?, and the outermost circle was How?. The middle circle is the one that is left unanswered by most, that of Why? He emphasized on it by arguing about the real world. After college, everybody starts from scratch in the corporate world. The higher one climbs the ladder, more is the stress, hence the lucrative compensation. We follow our boss and by simple calculation we would never reach our present valuation of being rich in a regular job. He said that there is nothing as being the best version of oneself. He urged the students to think about the why of their actions, the bigger purpose, the impact that they wish to create. He is a believer of manifestation. He says that we find ourselves where we want to be. He defined a job as a place to make mistakes at others’ expenses. From his entrepreneurial experiences he talks of a time when he was an excellent salesman and started off his own venture. His first setback was when he did not have an idea of any other aspect of business. By this he suggests, that one should go for a job where he could follow his passion, not care about the pay but only the learning. He suggests to switch jobs as frequently as possible. There are only two kinds of people that succeed and make it big. One is sportsmen. Because they know that if they win today, they can still lose tomorrow and they need to keep working hard to win everyday. The other kind is people who speak local languages, people who can effortlessly talk to anyone and derive insights from these conversations for it is insights that convert to ideas. It was a session which really helped students bridge the gap between academia and industry. 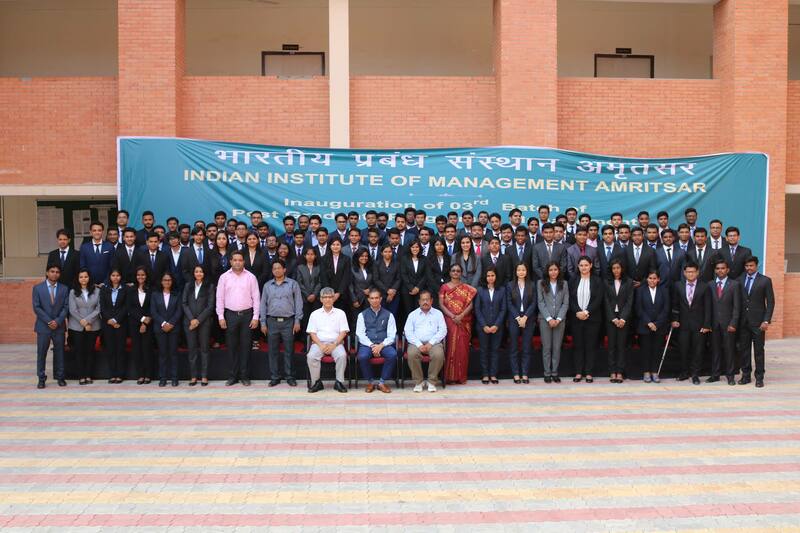 The entire student fraternity at IIM Amritsar has been left highly motivated and looks forward to future interactions with Mr Aneil Deepak. The session lasted only an hour but the vigor that he has aroused in the students will stay.